I can remember when I had my first child, and as a new parent, I found myself struggling to find a comfortable place to put my baby while I was on the move. The main problem I had was choosing between a bassinet or a stroller, and I find a lot of new parents have the same problem. So, I decided to show you my top 8 picks for the best bassinet strollers but first, do you know what a bassinet is? A bassinet is a tiny sized bed for your little bundle of joy to sleep in from when they are born to around the time you start weaning—4 to 6 months. Bassinets have varying weight capacities with each product, but you can expect it to accommodate a baby between 20 to 25 lbs comfortably. According to a recent publication by the British Medical Journal, having your newborn baby sleep in the fully-flay position is the safest and best position. And this is one of the perks you get with a bassinet since conventional strollers don’t let you adjust the bed to a full-flat recline. Furthermore, bassinets can come with boot covers and canopies just to give your baby that extra warmth and protection from the weather. But do you need one? Strollers typically don’t allow for a fully-flat recline which means your little one won’t be as comfortable during long walkabouts. Since babies haven’t fully developed the muscles in the back of their necks, they have a hard time keeping it straight which endangers them, especially when sleeping. The problem with vertical or slightly elevated stroller beds is they may allow your baby to drop their head forward, tightly shutting their mouth. This may subsequently lead to him/her partially or fully blocking their airway which may silently choke your little one. I would advise you to use a bassinet or car seat to carry your little one instead of the regular seat until you feel they are old enough. My advice to new mothers would be to invest in a car seat when you’re driving with your newborn and a bassinet stroller for when the baby is in the stroller. Now, let’s look at the different types of bassinet strollers on the market. These are typically the most pocket-friendly type of strollers since they are made of lightweight materials, but they aren’t the best regarding durability. They also don’t work for babies who are above six months of age. Having said that, they are great for moms who are always on the move and need a stroller they can quickly pack up for their travels. 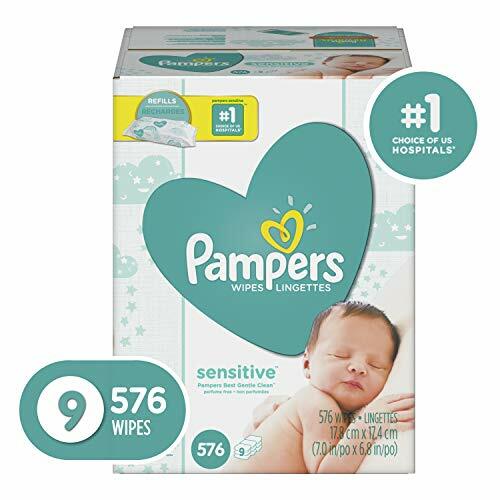 They are also compact so they can pretty much fit anywhere and even though they aren’t packed with features, they are excellent for new mothers and newborns. These strollers are typically lightweight with a sturdy frame and have a characteristic vintage look. It’s up there with the best bassinet strollers since it will accommodate children of up to 3 years of age and up to 40lbs in baby weight. They are not the cheapest bassinet strollers, but they are durable and stylish as well. Your baby will be able to lay flat on his/her back on the ride, and they’ll be able to sleep through long rides thanks to the comfort. However, most of them lack swivel wheel so it might be tough to make a turn. These bassinet strollers typically come in a package with other equipment used for different purposes. They normally come with a car seat and a bassinet stroller, but they can also be fitted with a single piece of equipment. Because of the versatility these types of strollers provide, they are more expensive but will give you the best return on your investment. Safety is your number one priority. Nothing else matters, the safety of your child comes first, and that’s why you need to go for a bassinet stroller that will keep your baby safe no matter the situation or circumstance. You want to go for extra straps, a sturdy frame, comfortable cushions—they can make all the difference when it counts. Assembly should be relatively easy. Some bassinet strollers are shipped when disassembled which makes it hard to assemble them especially for non-DIYers or people who hate puzzles. Because of this, I would advise you to go for a unit that is already assembled if you hate puzzles. Additionally, some bassinet strollers are relatively easy to assemble and disassemble and can be done by pretty much anyone within a few minutes without requiring prior training or knowledge. I know most of us skip the instruction manual, but you might want to read it to avoid accidents or risky situations. You also have to consider the weight and size of your bassinet stroller. I would recommend you go for a lightweight stroller which is also strong enough to carry your baby for a long duration. You should also check for swivel wheels since they help you gracefully tackle corners. However, swivel wheels don’t work very well on rough surfaces and tend to turn in every possible direction. On the other hand, fixed wheel strollers give you a smooth ride but taking corners or turning around might present a challenge, so you need to consider the terrain you will be using. 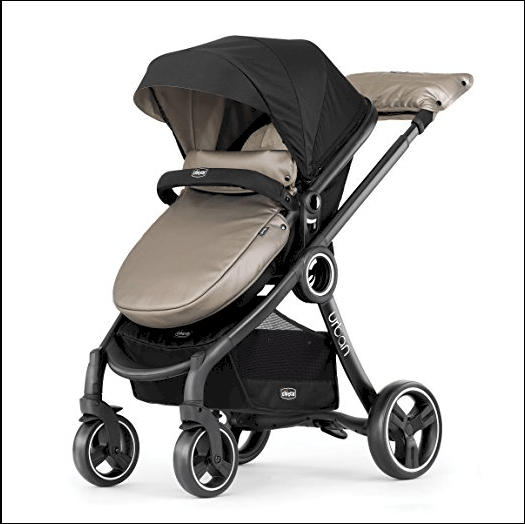 The Chicco urban stroller is a stylish urban stroller that will easily be your favourite stroller. It’s a large stroller and will comfortably accommodate up to 50lbs of baby weight. It has ample leg room, so you won’t need to worry about your baby outgrowing it anytime soon. Additionally, the included footmuff will keep your baby warm through the winter and thanks to the hand muff on the handlebar; you don’t need to wear gloves since it keeps your hands warm. Moreover, you can transform it a basket thanks to the chair, and the best part is it won’t wake your baby as you transform it—its’ very quiet. It’s a 6-in-1 solution for your needs and the with a single click you can transform into a carriage, a stroller, a car seat for your baby and you can rotate the stroller to face any direction. All this means is you can choose to have your baby facing you, or to face outwards to explore the world. It comes with a click-in car seat adapter so fitting it in the car won’t be a hassle. 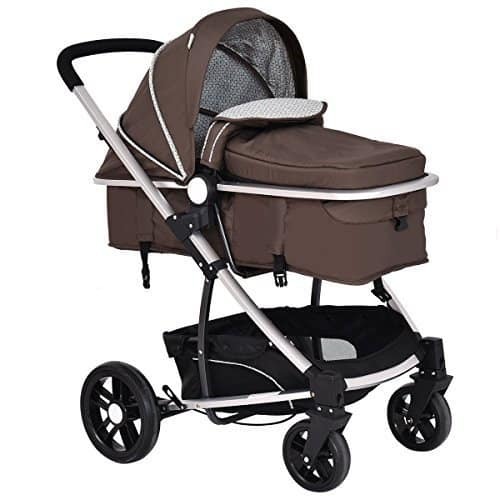 It has front swivel wheels which make turning a corner easy and thanks to its all wheel suspension you baby won’t feel a single bump and will sleep through the long ride. The Chicco urban stroller is relatively easy to assemble and disassemble and shouldn’t take more than a couple of minutes. Thanks to its low weight, pushing the stroller doesn’t require too much effort. The detachable handle bar can be adjusted to suit both short and tall people. Would have loved a reversible handle bar so you can switch positions. You have to open the zipper to see the baby. The coup support bumps against the door when passing through walls. This is an ergonomically designed bassinet stroller and boasts of having one of the most comfortable bassinets. What’s interesting about this stroller is that it can charge your phone for when you have long outdoor trips or even when your home. It also has an LCD interface which tracks the number of miles you’ve walked, the temperature and also lets’ you know whether your baby is in the stroller or not. Another excellent feature of this stroller is that it automatically folds which earned it its name “Origami”. I loved this feature since it makes packing it very easy and you also unfold it at the push of a button—talk about futuristic features. It has an oval shaped seat which is designed to shield your baby from all angles. And thanks to its large transparent canopy, you don’t need to unzip it to take a peek at your little bundle of joy. Additionally, the sun shade is also UV protected, so you won’t worry about exposure to harmful UV rays. It’s suitable bassinet stroller for infants under six months and is built from the most durable materials. It has a sturdy frame engineered to last, wide wheels for extra balance and a flexible suspension for when you’re on rough terrain. The bassinet attaches and detaches easily. The wide wheels make balancing this bassinet stroller quite easy. The UV-protection is an excellent touch. Would have liked the canopy to flip from either side to the other for extra sun protection. It’s too big for public transport and won’t fit in buses and trains. The Quinny buzz 3 is a pocket-friendly bassinet stroller which includes the Dreami bassinet, and you also get a diaper bag with your purchase. The Dreami bassinet is one of the most sought-after bassinets being complete with rain cover, a blanket, wind proofing and a mosquito net. The Quinny and the Dreami bassinet complement each other excellently, and they give you a lot of perks. You can attach and detach the Dreami to the stroller very easily and without a fuss. Secondly, this also allows you to swap out the bassinet for the regular seat in case your older child wants to share. 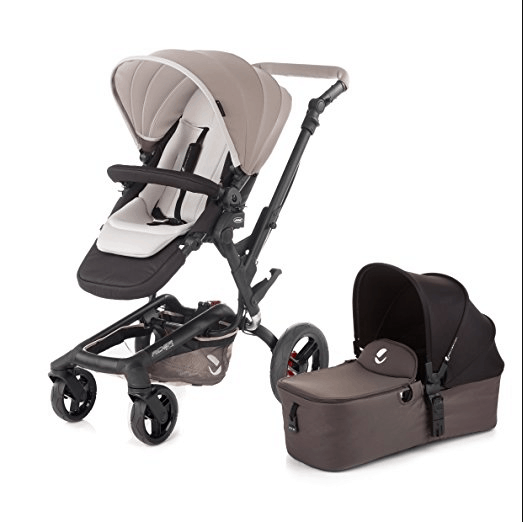 The Quinny buzz 3 can comfortably accommodate up to 50lbs of baby weight, and it boasts of having a solid framework that is built to endure and last. The handle bar is also adjustable to suit parents of all heights and thanks to the fully extendable canopy you no longer have to worry about the sun. It also features a witty automatic fold which opens up and transforms it into a versatile push chair. The stroller can also fold with the bassinet attached and it has rubber feet which allow you to set it down and not soil your fabric in the process. The stroller is easy to fold thanks to its automated folding mechanism and also has a latch which helps to secure your stroller firmly. You can transform it into a double stroller that can either be a twin bassinet stroller or a car seat and bassinet depending on the configuration settings. The rear wheel’s suspensions in the back null down any bumps you hit, and the front swivel wheels enhance the manoeuvrability of your stroller. It’s a heavy bassinet stroller and once the Dreami bassinet is attached it becomes even harder to load it or offload from the trunk of your car. 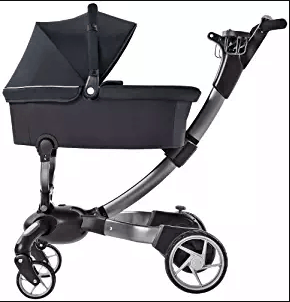 If you’re in the market for a cheap bassinet stroller then the Urbini Omni Solo migh just be right your alley. Its an all-in-one bassinet stroller. What do I mean? Its an extremely versatile and convertible stroller for it’s budget friendly price tag. It’s a stroller with a bassinet and a car seat so you won’t have to go over budget to get a car seat or a bassinet. What’s more it’s a three-in-one solution that easily attaches to the car seat, you can use it as a stroller and it easily converts into a bassinet. It’s a simple and effective urban stroller. You get 4 wheels with half of them being the swivel wheels. This way you get maximum maneuverability and controller with your stroller with bassinet option, especially in crowded places or tight spaces. It works remarkably well on rought surfaces and when you lock your front wheels it doesn’t lose it’s stability. Additionally, you can also lock the rear wheels if you want to stop the stroller and you’re sure it won’t roll and take your baby on a wild town rampage. The entire travel system stroller with bassinet weighs a mere 36.15 lbs, the stroller weights 22.6 lbs and it comfortabley accommodate up to 50lbs of baby weight. What’s more, is it folds quickly, easily and compactly which makes it the ideal travel stroller. It folds quickly and easily and comes with a bassinet. 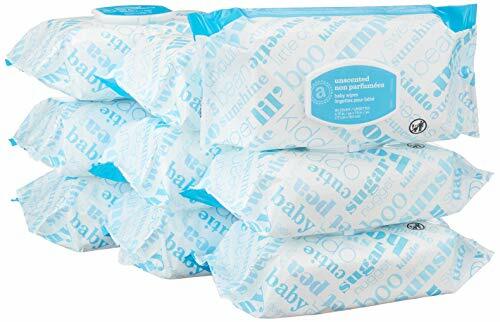 It’s suitable for newborns, infants and toddlers. 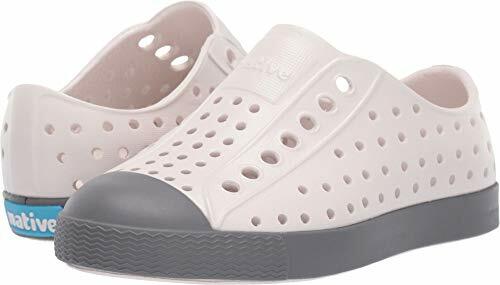 Easily adjustable to fit both tall and short parents. Converting it to a seat from a bassinet is rather challenging. The baby jogger bassinet stroller is designed for parents by parents. Whether you’re in the market for a pram, a travel system, a triple, or a single, then the city select baby jogger bassinet stroller might be the only one you need. This stroller was built to last so you can expect to use it as you family rolls on from a single child to two and even three children. It comes with over 20 configurations, weighs 25lbs and measures 30 by 12.5 by 26 inches. It has a telescoping handles bar which you can adjust to fit your height which means both the short and tall parent in the family can use it. It features a hand-operated brake keeps everything within reach. What’s more the stroller folds itself compactly and easily. All you need to do is snap the latch in place to lock it for transportation or when you want to store it. Its compact size makes it suitable for those who use public means of transport like the city bus. The front swivel wheels manoeuvre daily obstacle with ease, and you can even lock it in place for those long strolls. Thanks to the rear air tires this bassinet stroller can handle any terrain with ease. The seat supports multiple recline positions for the best comfort and safety. The canopy has a UV 50+ rating for protection on those sunny days and a peek-a-boo window so you can check on your little one or entertain him/her with the same game. It’s very easy to fold for transportation or storage, folds compactly, and has a magnetic latch to lock it firmly in its folded position. Thanks to its multiple recline positions you get a lot of sitting options both as a double and single stroller and children can either face each other or you. The telescoping handle bar is an excellent feature which makes it suitable for either parent. It folds neatly and compactly—fold is upto 30% smaller. The Hot Mom 3-in-1 bassinet stroller has an elegant European style and will keep you look fashionably hot while you take your baby out for a ride. It features an egg-like capsule which is as interesting as it is functional—safeywise. You get front swivel wheels which are very effective when it comes to maneuvering your bassint stroller. You can also lock the reat wheels when you want to stop which makes it quite effect when navigating through crowded streets. The seat is approximately 26 incehs wide so you wont have any problems pushing your bassinet stroller in narrow hallways and doorways. It weighs about 32 lbs and can comfortably accommodate upto 48lbs of baby weight and also a minimu of 6 lbs. Since it comes with a bassinet, it’s an excellent choice for newborns, infants and toddlers. It has an easy to use handle bar and also uses a one-click folding system. 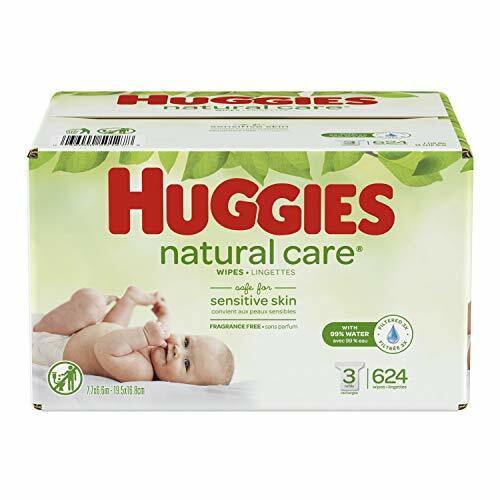 It folds nicey and compactly and you can easily store it for the next time you spring out another adorable angel. 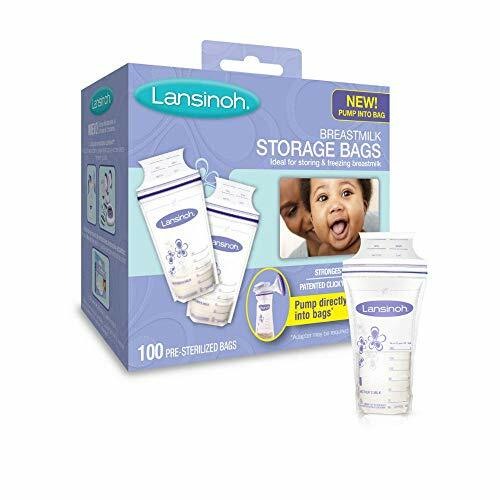 You get a lot of storage options for the baby bottle, diaper bags, your bag etc. It’s very light which is perfect for parents who are always on the move. It’s compatible with most car seats. It feels like its made from cheap materials. The Jane Rider oozes style and ease. The strollers’ canopy is built from breathable fabric which will keep your stroller dry and keep your baby warm even when it rains. 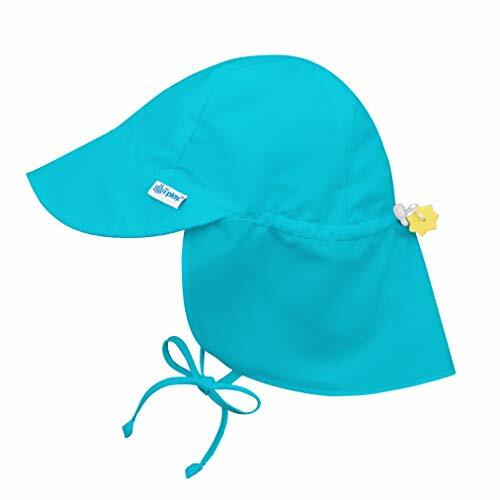 The fabric is also stain resistant, windproof and has an SPF 50+ protection rating. But can you wash it? Yes, thanks to the hammocks’ machine washable plush fabric made of a mix of polyester cotton which is rare in other strollers. Additionally, this stroller has a patented fold that folds it compactly—30% of its size, which makes it easy for moms on the move. And that’s not the best part of it, to unfold it, all you need to do is to kick it with your foot, and it should stand upright in a couple of seconds regardless of whether it's facing forwards or backwards. Even still, it can unfold with seat attached. 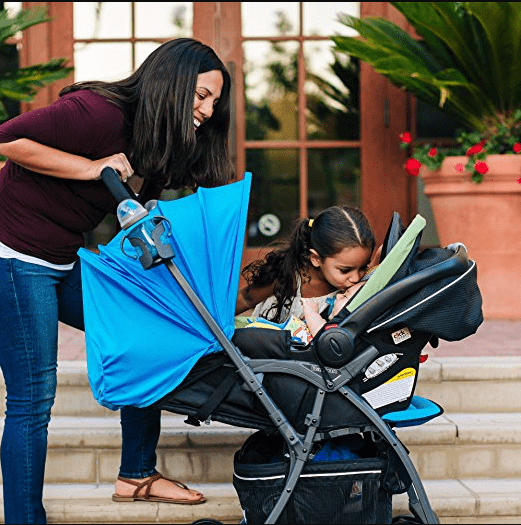 It has an adjustable rear suspension which allows your baby to explore the world and get a little sunshine while you’re at the park or running errands around town. The stroller was built for children who are 4 months or older and can easily accommodate up to 40lbs of baby weight. Adjustable handlebars to suit both the tallest and shortest members of the family. C-shaped chassis makes pushing the stroller on long rides seamless—no more kicking. Built from anodised aluminium that is also corrosion resistant, lightweight and sturdy. The long stroller is pretty handy for when you’re running errands or grocery shopping. The front swivel wheels shake a lot even on smooth pavement. Weighing in at 30bs, this bassinet stroller is quite heavy for parents who are always on the move. 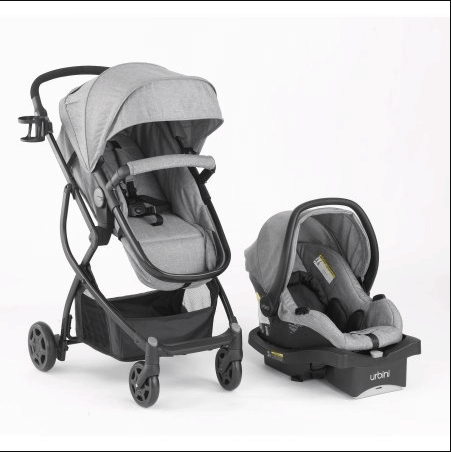 Joovy is among the most popular household brands for baby strollers. If you’ve made it this far, then you’re probably one of those parents who is very specific about their baby’s needs. Fortunately, the Joovy is an all-round baby stroller that will handle errands, the mall, the zoo, the park, the doctor, the subway, etc. everyone, every mom needs a do-anything and go-anywhere baby stroller that can keep up with your pace. The Joovy will get your little angel there and back safely and comfortably. It tips the scale weighing in at only 12.7 lbs. making it one of the lightest baby strollers available on the market. Adding to that, you’ll be surprised how easy it is to pack it up in the trunk or city bus and go. Your little angel will be comfortably tucked in like a king in his carriage, and when he feels sleepy, you can adjust the multiple position recliner seat. An excellent feature for power naps on the go. It can recline to a fully-flat position and is also ideal for newborns thanks to the bassinet mode. You can flip the reversible handle and face your baby as you trade some giggles on your long rides. 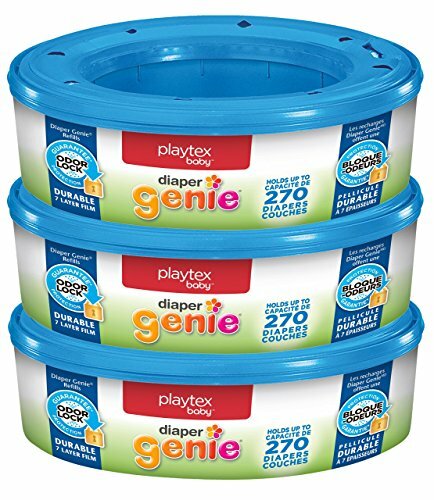 I found this to be a lifesaver for babies with separation anxiety. The universal car seat adapter is included with the Joovy making it an ideal and lightweight travel system. Super lightweight build and convertibility. 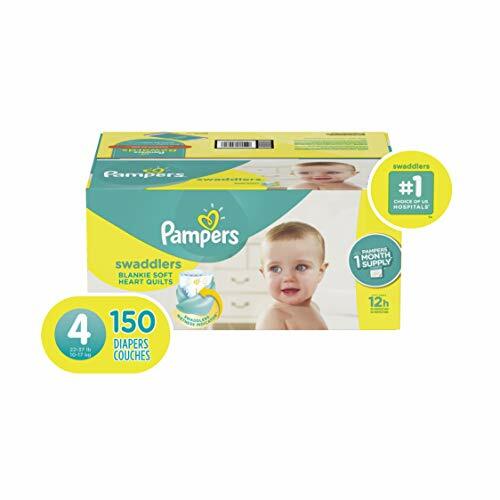 Suitable for newborns and can handle up to 45 lbs. of baby weight. Upgraded wheels and enhanced suspension system. May not be the perfect choice for city living and you’ll have a hard time with curbs and stairs. 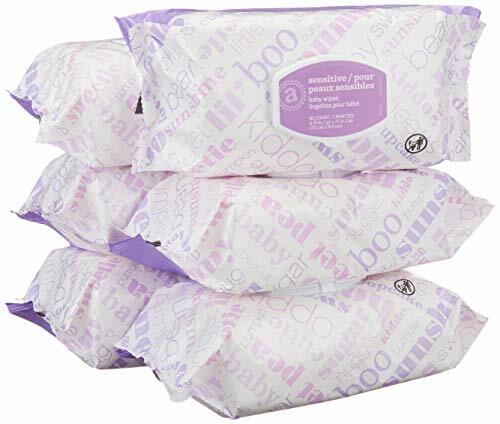 The basket can’t fit anything larger than a book, and you might have a problem if you have a large diaper bag—it may not fit. 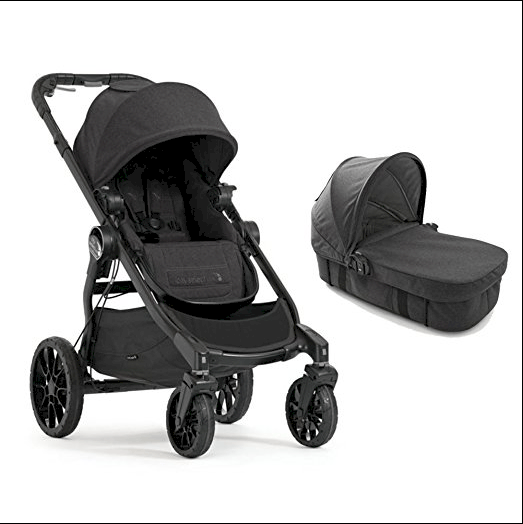 The Chicco Urban Stroller is out top pick for the best bassinet strollers. 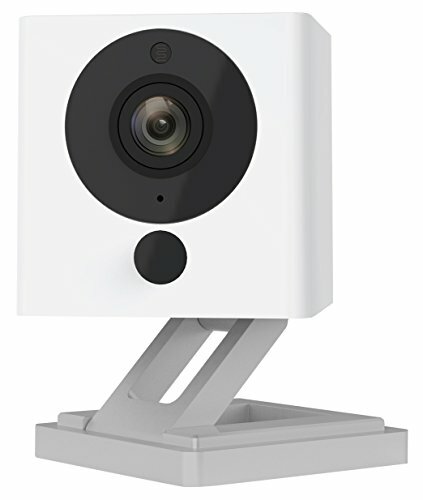 It has a wide array of features that are mainly geared towards the protection of your baby and functionality. One of the main reasons I loved it is for its simple click transformability. Your baby can comfortably ride with you in a car seat, or a carriage or a stroller that can either face you or the world. As I mentioned, this is a lifesaver for babies with separation anxiety. It can easily handle up to 50 lbs. of baby weight and is a cosy way for your little angel to travel. It also comes with a bassinet and car seat and weighing in at 26 lbs. It’s among the best lightweight travel system bassinet strollers. For manoeuvrability, it has front swivel wheels which make turning corners a breeze, and the linked park brakes ensure you stroller doesn’t roll away with your baby when you make a stop. And the seat belt fits around your baby snugly without hurting your baby’s neck. Assembling and disassembling it is very easy and shouldn’t take you more than a couple of minutes. The Chicco urban stroller is built for city living, and you can easily reverse the seat, transform it to a basket and has ample space for a milk bottle, diaper bag and your bag. 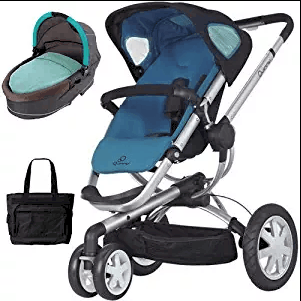 All of which make it one of the best strollers with bassinet on the market. What not to love? That’s it for the best bassinet strollers let me know what you think in the comment section below.